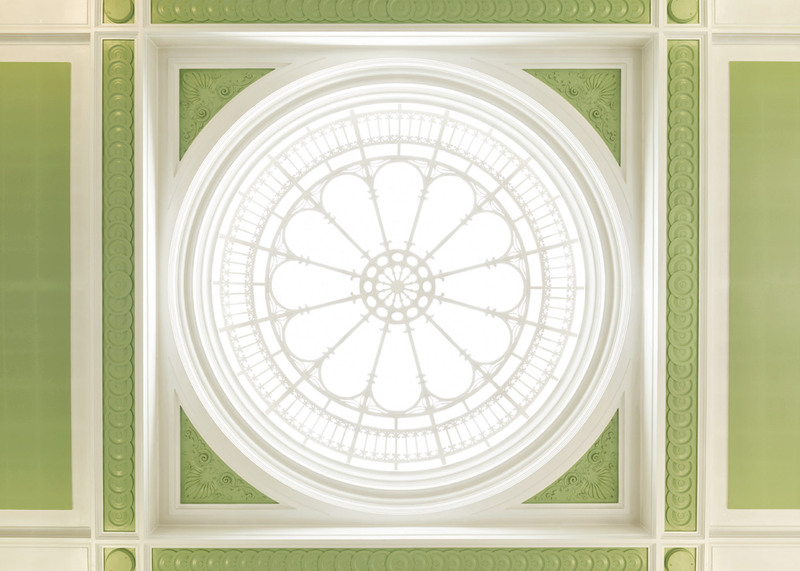 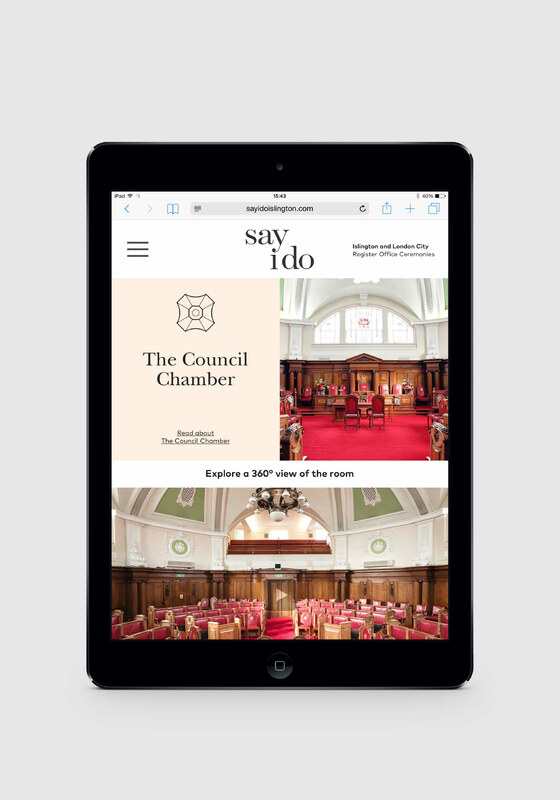 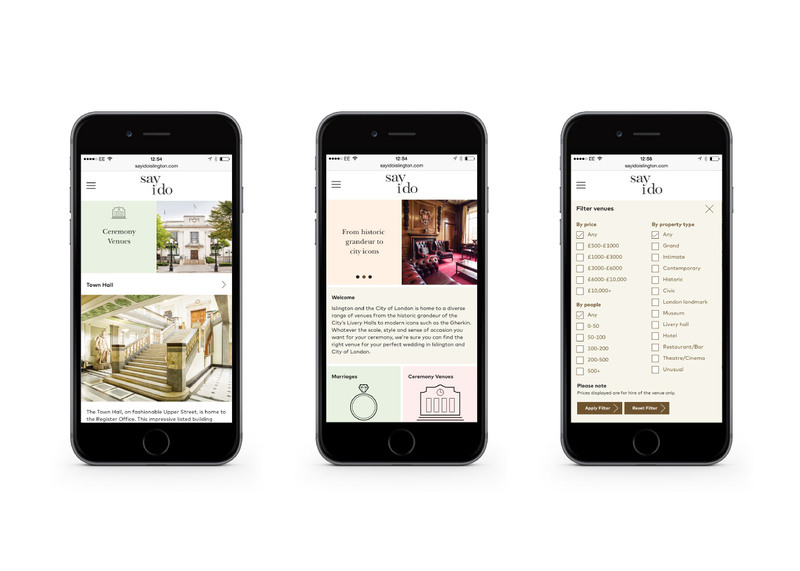 Islington Council commissioned us to create an identity and new website to showcase their wedding venues in Islington Town Hall and around the City of London. 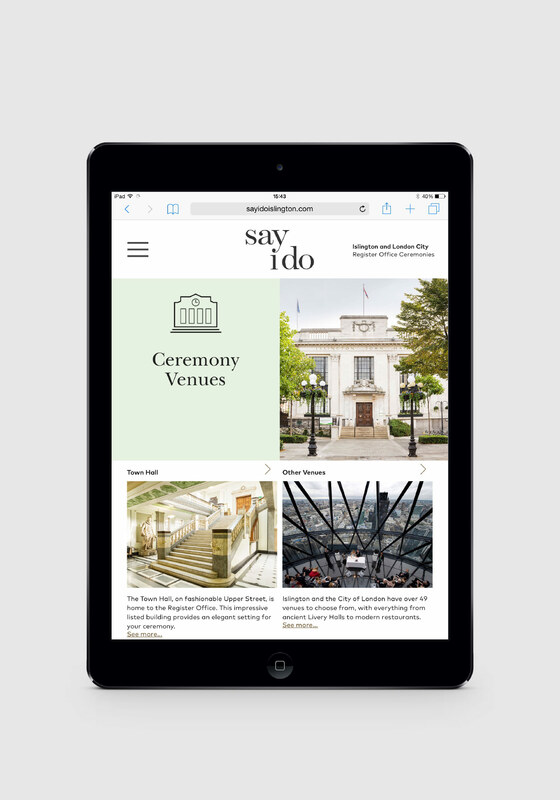 We developed the Say I Do identity with a clean and elegant simplicity, bringing these values to a website that is fully content managed and responsive. 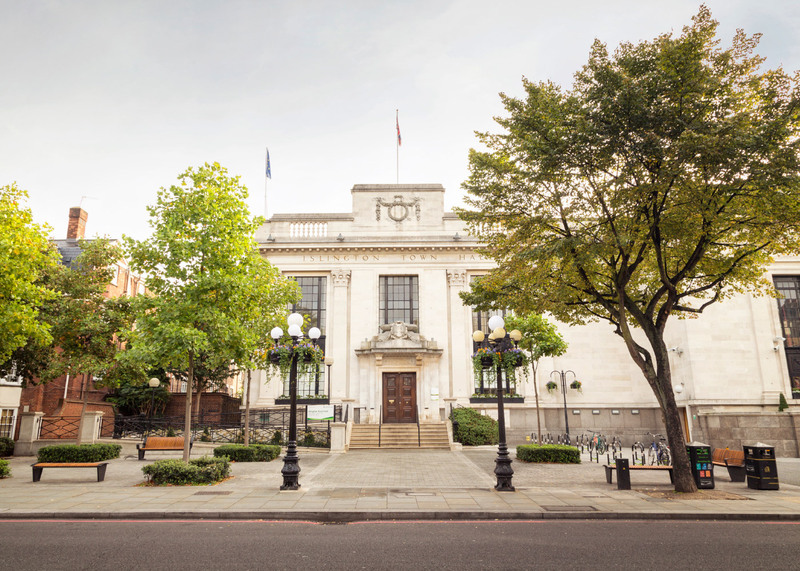 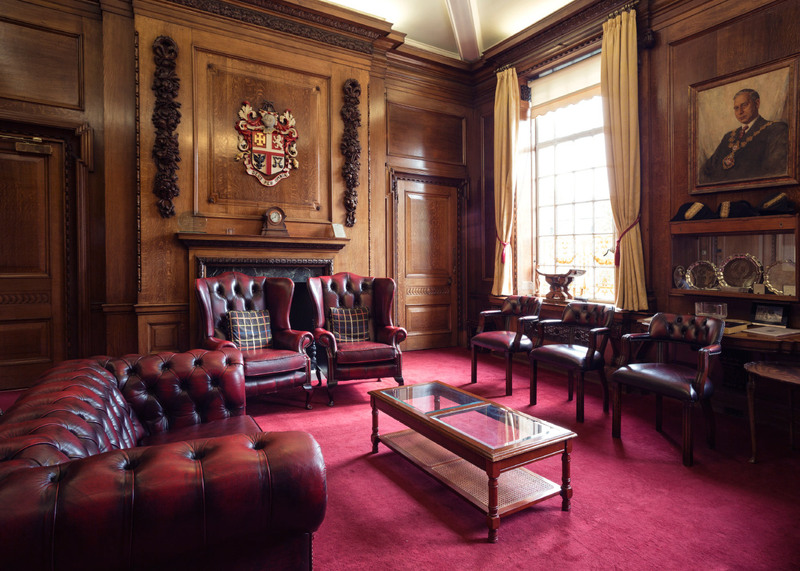 The website is fully accessible and functional to Islington Council’s strict standards.